At Prime Homebuilders we make every effort to provide a quality home and the means for you to safely secure an affordable mortgage. We know that home ownership goes a long way to stabilize monthly home costs and enrich long term investments for your financial well-being. Additionally, the pride of ownership and the ability to have the colors, appliances, cabinets and features you wish to have all add up to a healthier, happier environment. 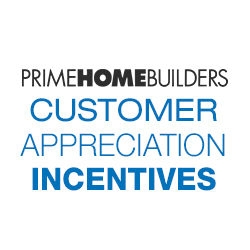 At Prime Homebuilders we are pleased to provide a number of Appreciation Incentives* to add value, convenience and beauty to your new home. Prime Homebuilders offers full selection services on all new construction homes. 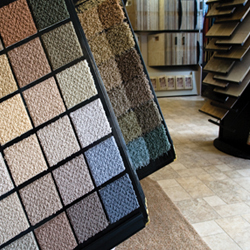 Select the color, style, fit and finish that best suites your style and tastes. 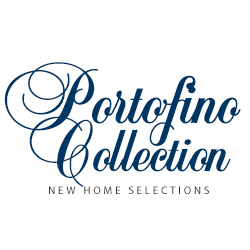 We have customized beautiful pallets of classic and modern favorites available for your new home from Prime Homebuilders. 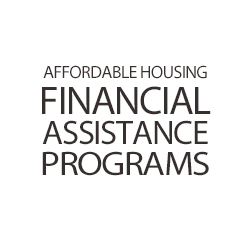 We make sure every effort is made to ensure stable, affordable financing is available for our customers. Now, many areas of the country offer assistance plans to help home buyers with their purchases. Ask your Sales Representative for info on plans available in your area. *Certain programs and incentives may vary. Please ask you sales consultants for full details.